In this ‘Evidence for Everyday Health Choices’ blog for carers of young children Robert Walton, a general practitioner, looks at Cochrane evidence on antibiotics for children with ‘wet cough’ and what might help you decide what to do when your child has a cough that does not go away quickly. Jane’s had a fruity cough at night for the last few weeks and none of the family have had a wink of sleep – do you need to take her to see the doctor? Sleepless nights and family disruption from children with coughs and colds are common problems at this time of year. Most children get better without specific treatment, but how do you tell when your child needs medical input? Well, help is at hand from a new Cochrane Review that aimed to find evidence for the benefits and harms of antibiotic treatment for prolonged cough in children. What is a ‘wet cough’? Coughs that make the chest rattle are called ‘wet’ or ‘productive’ – adults with this problem will often cough up secretions from the lungs called ‘phlegm’. Children tend not to produce phlegm, but parents still have little trouble in telling the difference between a ‘wet’ and a ‘dry’ cough. This distinction is important because the management is different. The Cochrane Review, focussing specifically on ‘wet’ cough, brings together the best available evidence on the benefits and harms of treating children with wet cough with antibiotics. For such a common condition it is surprising that there were only three studies with evidence from only 190 children to include in the review. Some of the studies were done in hospitals so the children taking part may have been more ill than children who stay at home. All the studies compared taking an antibiotic either to no treatment or to a placebo pill. We don’t know how ill each child was in terms of having a temperature or being off their food, although information like this could be useful to know when you are trying to decide whether your child might need antibiotic treatment. Well the answer seems at first glance to be pretty straightforward – antibiotic treatment probably increases the chances of the child being ‘cured’. So if the wet cough had been going on for more than three weeks then 68 out of 100 children would probably be better after an antibiotic compared to 24 out of 100 with placebo or no treatment. But the benefits need to be weighed against the disadvantages. The review found that children given antibiotics may be about twice as likely to develop other problems such as diarrhoea, nausea and skin rashes compared to those given no treatment or placebo. What kind of antibiotic is best? In terms of choice of antibiotic we have less information to go on – two of the studies used an amoxicillin/clavulanic acid mixture which in the UK we try to reserve for serious infections. Being careful with choice of antibiotic is a major part of medical practice here and could explain why we have less problems with bacteria becoming resistant than in other parts of the world. Similarly macrolides (erythromycin or clarithromycin) which were used in the other trial are generally reserved for when other treatments can’t be used or have failed. In the past widespread use of macrolides was linked to high levels of resistance in bacteria that commonly cause chest infections and pneumonia. Since bacterial resistance is a growing problem worldwide it is important to continue to reserve these drugs for use when absolutely necessary. If an antibiotic is needed it’s probably best left to the doctor to advise on the most appropriate treatment according to local and national guidelines. On average a child will have eight or more coughs and colds a year and most of these will settle within a week, although with younger children it sometimes takes a little longer. Lemon and honey is a good old fashioned remedy for older children and you can read more about the evidence on honey for cough in this blog. A child with a very high temperature or who is off their food and not drinking will generally benefit from a check at their general practice no matter how long the cough has been going on. So parents will need to make a decision about how ill their child is and seek help as needed. What this newly published review suggests is that antibiotics are probably an effective treatment for wet cough although the benefits may need to be weighed against harm arising from side effects. Join in the conversation on Twitter with @CochraneUK or leave a comment on the blog. Robert Walton has nothing to disclose. Marchant JM, Petsky HL, Morris PS, Chang AB. Antibiotics for prolonged wet cough in children. Cochrane Database of Systematic Reviews 2018, Issue 7. Art. No. : CD004822. DOI: 10.1002/14651858.CD004822.pub3. Robert Walton is a Cochrane UK Senior Fellow in General Practice. Robert qualified in medicine in London in 1983, having taken an intercalated degree in human pharmacology and immunology. He trained at St Georges Hospital, London and became a member of the Royal College of Physicians in 1986. His work applying computerised decision support to prescribing drugs in the Department of Public Health and Primary care in Oxford led to a doctoral thesis in 1998. Robert was elected a Fellow of the Royal College of General Practitioners in 1999 and the RoyalCollege of Physicians in 2001. He became a Senior Investigator in the National Institute for Health Research (NIHR) in 2016. 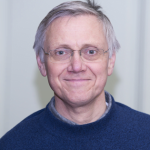 Robert is Clinical Professor of Primary Medical Care at Queen Mary and joint lead of the NIHR Research Design Service east London team, his research interests are in primary care, genetics, clinical trials and personalised medicine. Robert leads a five-year NIHR funded programme developing a novel training intervention to promote smoking cessation in pharmacies in east London which involves a substantive systematic review and meta analysis on behaviour change interventions in community pharmacies and will lead to a large scale cluster-randomised clinical trial. His research team is also developing a smartphone game to promote smoking cessation and researching a personalised/stratified medicine approach to tobacco dependence using computerised decision support. He sits on the NIHR Programme Grants for Applied Research sub panel A and works as an evaluator for the European Union Horizon 2020 programme (Global Alliance for Chronic Diseases, New Therapies for Rare Diseases). He contributes to UK national guidance, serving on the National Institute for Health and Care Excellence (NICE) Outcome Indicator and Technology Appraisals Committees. He has worked as a general practitioner in Oxford since 1988.